In the combat flight simulation of IL-2, I've discovered a whole new subculture of friendly and spirited pilots. Just as there are helpful folks in Second Life, I'm finding great people in IL-2 such as WTE_Wombat who joined RCAF recently and stated in a comment "On behalf of the Wedge Tailed Eagles (an Australian IL2 group using the tag WTE ) I would like to offer a hand of friendship and welcome to the RCAF...."
IL2 appears to be a thriving community on the web. I just stumbled across a very interesting squadron - the IL2 Sturmovik Forgotten Battles 99th Pursuit Squadron - they fly in memory of the fighting men of the 332nd Fighter Group known to the world as The Tuskegee Airmen. 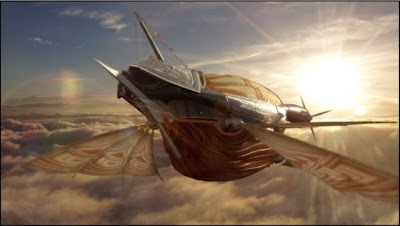 The number one winner from the 2008 Online Machinima Film Festival "Faith Hope and Charity" is an IL-2 based machinima. 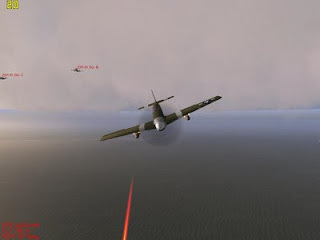 IL-2 is the air combat game platform the RCAF intends to use for our large scale dogfights beginning January 2009. Events, roleplay scenarios, and very light air combat will remain in SL. I have the distinct honor and pleasure of having Harper Beresford as the guest blogger on my tiny little corner of the SLBlogosphere. How did this happen? This delightful happenstance occurred via Arminasx's and Vint Falken's Crazy Scheme Mix and Match challenge. "How Real is SL?" - Is SL a game or is it another reality? If it is another reality, how close is it to The Actual World in which we live? Let me start off by saying what an honor it is to have landed myself on the blog of the doyenne of SL bloggers, Zoe Connolly's. I am not sure how that randomizer worked that Arminasx and Vint cooked up, but it sure landed me in a sweet spot--or rather, a precarious spot as I have been thinking about this blog all week, terrified I will come off as a blog mess. That being said, the topic given to me first seemed like a softball. I mean, EVERYONE writes about the "reality" of SL. NPR did a story about the real money in SL. Cybergrrl investigates "RL" businesses in SL. A guy at Stanford found out that our behavior as an avatar changes how we deal with things offline and another woman at Queensland found out it improves our real-life social skills. 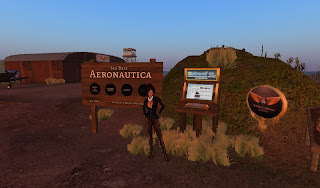 Isn't Botgirl's whole blog a study of the reality vs. unreality of existing in Second Life? So I subtitled the blog with my own chosen quote, because I think SL is a sort of waking dream. 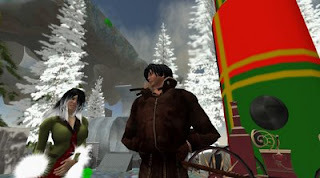 Anyone who has read my blog (all five of you), know that I fall deeply on the side of thinking Second Life is a reality. I have not changed my mind in the six months since I wrote my blog about that--this is not a game; this is my life and this is your lives. So much of what I do on SL has very real consequences. I have personally felt the goodness of my interactions on SL come to fruition. I have personally taken money OUT of SL and put it into my own bank account to buy the computer that allows me to make more money. I had a darn good time going to Tampa and Berlin and meeting SL friends. And I felt real joy doing the flamenco all night with my friends, discussing art, music and where glow does and doesn't belong. Not everyone will live their lives using this tool/media/means of communicating the way we will, but I feel in the future, everyone will have some sort of experience with a "virtual reality" and an "avatar," just as people all over the world now feel the lightness of being untethered to a phone line in the wall with their cell phones. We just need to stretch our minds around that possibility a little farther than the local land auction. We need to acknowledge the power of this kind of virtuality to become a part of human existence just as storytelling, music, art, etc., are all parts of our cultures. This "waking dream" we live in for our Second Lives is quite "real" (whatever that means). This avatar existence will translate to new, real life applications and possibilities. We ALL know that. Gosh, why do I need to reiterate this? (I hate being cliched.) We are taking this Rubic's cube of a reality and twisting and turning it in our hands, all in our ways, trying to find the right patterns in it to discover powerful tools and to absorb its potentially profound lessons. And doing this takes time. Let's cut Linden Labs and ourselves all some slack. This virtual stuff has been around a long time and it needs to evolve in its own time. So that being said, I am going to go back in-world, dress up in my monkey avatar, and help a few newbies on Help Island, making this new world happen one newbie at a time. 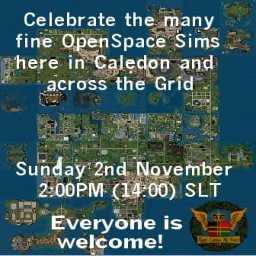 We have a few weeks left to enjoy some of the beautiful Openspace sims in SL. As long as present Openspace sims exist, I'll continue to schedule air combat dogfights until the end of 2008. There will no longer be any organized dogfights for us beginning in January 2009. Although our main events will obviously change, EDF and RCAF will still exist. Our communities live on in both the EDF and RCAF Nings, and for those of us who wish for an air combat experience there is a discussion on the RCAF Ning on how we may continue to dogfight on the web. There is still hope for us die-hard pilots, but SL is no longer a friendly place for our activities. I am profoundly saddened with the news from Linden Labs. I will make some subtle changes to the Connolly Aerodrome in Caledon Penzance as we move away from traditional flight scripted aircraft to hovering-scripted craft. No need for a runway. Far less spending on aircraft for Zoe and her alts. Good for Zoe's purse. Not so good for aircraft builders. I imagine a less-active pilot Zoe after the New Year. But Zoe does so many other things and really enjoys machinima production. So I imagine Zoe and her alts accomplishing great things in 2009 and beyond. I'll make a purchase of IL-2 Sturmovik 1946 in the near future. I've been chatting with Cornelius Fanshaw and Phineas Messmer about how we could create an active online EDF/RCAF presence in a combat flight sim away from SL. IL-2 Sturmovik 1946 seems to be a good combination of historic and alternate history aircraft that appeals to so many of us. Please note: Our Dogfighting Days will come to a close in January 2009. Come out and celebrate our last few weeks of air combat. 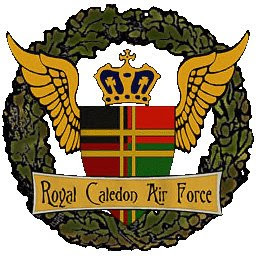 This weekends scheduled EDF and RCAF Air Combat will be Saturday the 8th of November at 9:00 AM SL time, Combat system TCS, Location: Skies of Tomorrow in Extropia, followed by another dogfight later on Saturday the 8th at 6:00 PM (18:00) SL time, Combat system TCS, Location: Skies of Tomorrow in Extropia. Our dogfight on Sunday the 9th of November at 9 AM SL time will use the VICE Combat System, Location: Aeronautica Sea Base. I'm not sure how long I'll be away. I need to think about priorities again. 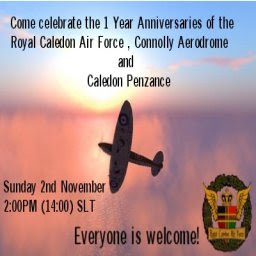 We celebrate RCAF, the Connolly Aerodrome, the Opening of Caledon Penzance, and in light of recent news about Openspace sims. We celebrate our Void Sims. Many thanks to all the pilots and supporters of the RCAF, the aerodrome, and openspace sims. 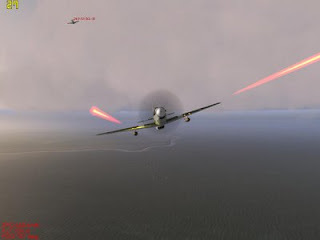 "Captured sequences from edition named "IL2 Sturmovik : 1946" IL-2 Sturmovik is a combat flight simulator video game, focused on the air battles of the Eastern Front during World War II. It is named for the Soviet Ilyushin Il-2 ground-attack fighter, which played a prominent role in this theatre. 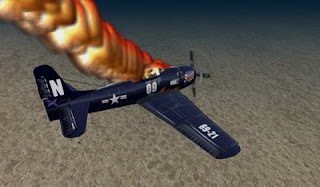 Along with its sequels, it is considered one of the leading WWII flight simulators. The game was developed by 1C: Maddox Games and published by 1C in Russia and Ubisoft in the rest of the world, for the PC on November 18, 2001. The game has been updated frequently, the latest version that includes all sequels and patches being 4.08m. The flight simulator IL-2: Sturmovik and the sequels Forgotten Battles, Forgotten Battles Ace expansion pack, Pacific Fighters, Pe-2 add-on, Manchuria and 1946 now contain 347 aircraft, 256 are flyable. The aircraft covers most major aircraft deployed during World War II as well as some which did not leave the prototype stage. 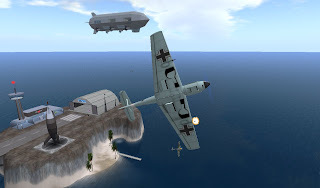 The original version of the game featured 31 playable Russian, German, British, French and American planes and an additional 40 non-flyable planes...."
I haven't felt like Logging into SL lately. I'm thinking about what's next for Zoe Connolly. I'm approaching 2 years in Zoe's skin since January 21, 2007. I've played many parts on the Grid....As a pole-dancer, Mistress, Girl with Guns, Steampunk Explorer, and of course SL Aviatrix for most of that time. Perhaps it's time for another avatar personae? It's been a few days since the initial shock of the Openspace (VOID) Sims Controversy. Linden Labs will do as they please. It's their company and they have every right to raise prices as they see fit. I cannot fight political and economic battles both in SL and in RL. I simply do not have the energy or funds to do either of them well. One of them must take precedence. I choose RL. We're not really residents in a virtual world as they once claimed....we're just players in an elaborate game.